The INOC 2017 Conference will take place at the Faculdade de Ciências at the Universidade de Lisboa, Portugal.​ There are 8 buildings in the Faculdade de Ciências, C1 to C8 (the letter "C" stands for "Ciências"). 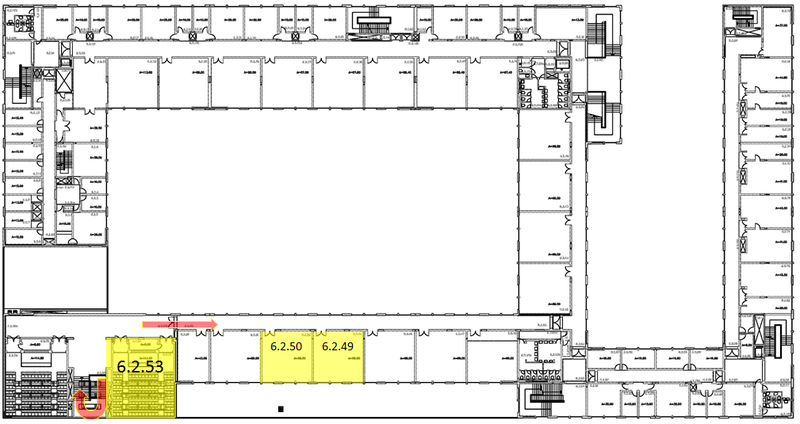 The session rooms are all located in the building C6. The Faculdade de Ciências is located in the Campus of the Universidade de Lisboa in the northern area of Lisboa and it is located only a short distance from two metro stations: Cidade Universitária (yellow line) and Campo Grande (green and yellow lines). ​ Directions from these two metro stations to building C6 can be found here. If you want to explore all the metro lines, a complete map of the Metro system can be obtained here. The conference will take place at the Faculdade de Ciências at the Universidade de Lisboa, Portugal.The session rooms are all located in the building C6, ground (room 6.1.36) and first floors (rooms 6.2.53, 6.2.50 and 6.2.49). 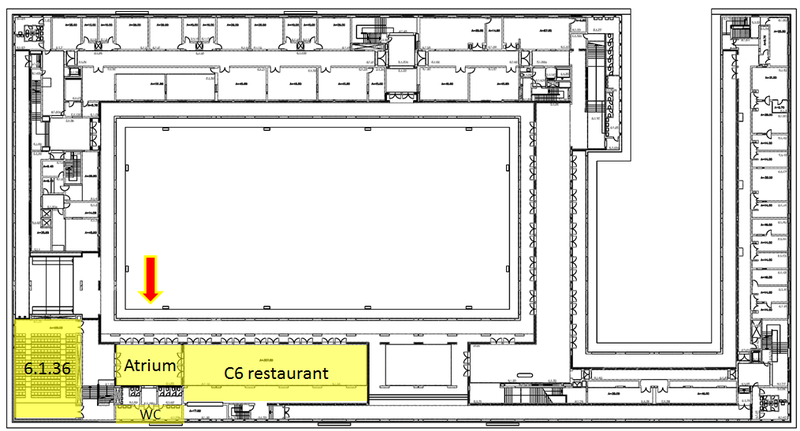 Figures 1 and 2 present the location of all the sessions rooms as well as the rooms where the registration and coffee-breaks will take place (Atrium) and the C6 Restaurant where the Lunch on Sunday and the Welcome Reception will take place. The registration desk will be located at the Atrium (see Figure 1) and will be open on Sunday 26th, from 10:00 to 19:00, and on Monday from 8:30 to 9:00. Free wireless access is available through the University Campus (access details will be available on the back of the conference badge). Every conference participant (Regular or PhD student) will receive 3 lunch tickets. 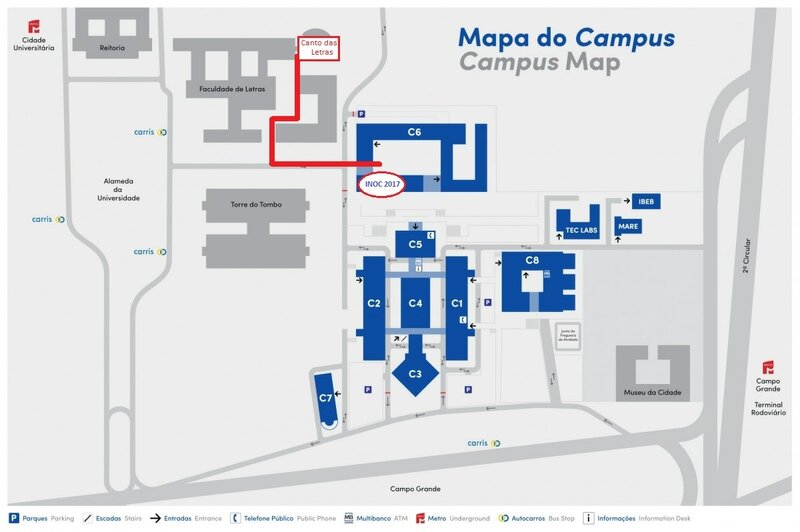 The lunch on Sunday will be served at the C6 restaurant (see Figure 1), whereas the lunches on Monday and Tuesday will be served at the "Canto das Letras" restaurant, 5 minutes walking from the conference venue (see location and directions in red on the map in Figure 3). Vegetarian and diet meals are also available. Coffee, tea, juices, bottled water, pastry and sandwiches will be available during the conference coffee-breaks in the Atrium. Social Events: On Sunday, from 19:00 to 20:00 a Welcome Reception will be held in the C6 restaurant. The Conference Dinner will be in the Restaurant "Zambeze" on Monday, from 19:30 to 22:00. There will be buses to take the participants from the Faculty to the restaurant and back. On Tuesday afternoon, immediately after the Closing Session, we will have the Conference Tour to the Belém area with a surprise included. a bar/snack supermarket in the ground floor of building C7 (facing building C2).